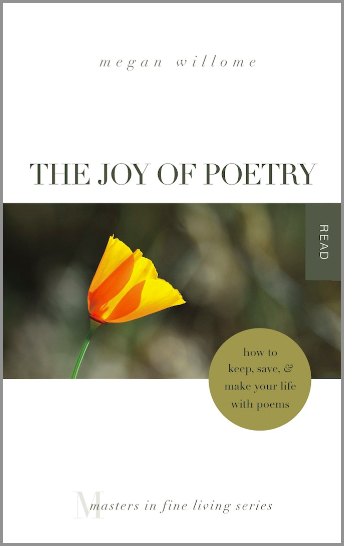 “How to keep, save, & make your life with poems” was my publisher’s tagline, not mine. I would not have thought of it. 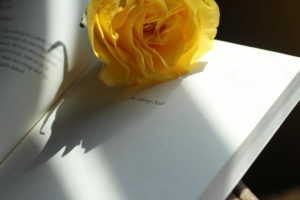 Im 2012, I wrote an official Journey Into Poetry article at Tweetspeak. While that story is true, it’s since been fleshed out in my book. 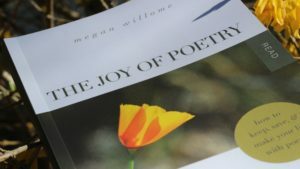 In those pages I also mention my collection of poetry scrapbooks and poetry journals, but I did not go into detail about that process, which has been unfolding since late 2003. For the next three weeks I’ll tell their story, the story of Keep, Save, & Make. Found poem from the words of poet Jane Kenyon, at The Writer’s Almanac, 23 May 2016, on her birthday. from earth’s treasure rooted free. Each morning we watch the waves for signs. Each evening, bake a potato. Eat with butter. If you’d like to catch up on the first three parts of the series, they are here, here, and here. This is the last day. The day before I ascended my manuscript into my publisher’s hands, I performed a ritual I use when writing something big for the magazine, like Wacoan of the Year. I drove to Starbucks to read it one last time. The nearest Starbucks is 30 miles away. It was pouring rain in May, which was ridiculous. We didn’t know it would keep raining, leading to Memorial Day floods across Central Texas. On the drive I called my dad to say I was just about finished rewriting, and, oh yeah, the book is now really about Mom and has a bunch of the cancer poems I wrote. He thought that was great. But I was worried. TS Poetry Press is not a religious publisher. No one would accidentally come to Jesus reading my book. What would Mom think of that? With that short sentence I had the all the freedom I needed to write the book that needed to be written. I made it safely to my destination, bought a venti-size tea, read the manuscript aloud in my head, made a few changes, and ascended it the following morning. That was not the end of the writing process, although my publisher did feel that, lo and behold, yes, this version was much better. I was supposed to have sent an outline first, but I don’t usually have time for those at the magazine. Oops. During the summer I was asked to change the book’s ending (which I hadn’t done in the rewrite) and add a couple of chapters, which meant more sheets of notebook paper and more lists. I had found Kathleen Jamie’s poem “The Dipper” the day I went to Starbucks to do the final read. I’m so glad I had time to get permission to include it in the final version. In March 2016 I worked on front matter and end notes and listing all those poetry permissions from publishers. The whole process stretched from January 1, 2014-April 1, 2016, when the book was published. Here’s something interesting: I could not write poems while I was writing about poetry. The few I tried to write weren’t very good. Right before the book came out, I started writing poetry again, even poetry about that other elephant. Maybe in a few more years, it can come out, stomp around and make a bunch of noise. For all of you who are in the process of writing, I encourage you to be open to what your book needs. What I’ve described in this series may not work for you at all, but maybe you’ll look at what I’ve written and say, “Not this, but that.” Books are like children. As they grow up, they make their desires known. It behooves us to listen and adjust. dinner at our favorite Mexican restaurant. we’d dined for, oh, 35 years. “She came with the place,” Dad said. it was well past 15 percent). to which foreign ships visit! Let others adventure, then come here. 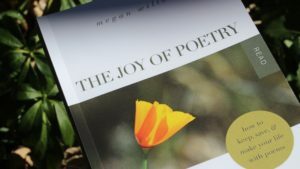 Last week I wrote about the origin story of my book, The Joy of Poetry. If all had gone as planned once I got the assignment, I’m sure I’d have more to say about those initial nine months of writing. Instead, as I look back I can see I was grabbing things from here and there, old and new, trying to stitch them together in a way that didn’t work nearly as well as I thought it did. One of my quirks is that if you ask me what a trout has to do with a tree, I can link them. It doesn’t necessarily mean I should. In that first draft, I was basically forming unnatural connections between aquatic and arboreal species. Halfway through the writing process I started contacting publishers to get poetry permissions, and that weaned the book down—either when I heard nothing or when the fee was too high. Then I gave the manuscript to two friends to read. They helped me find places to cut and helped me know which places were strong. I revised some more, trimmed, turned it in, and waited. 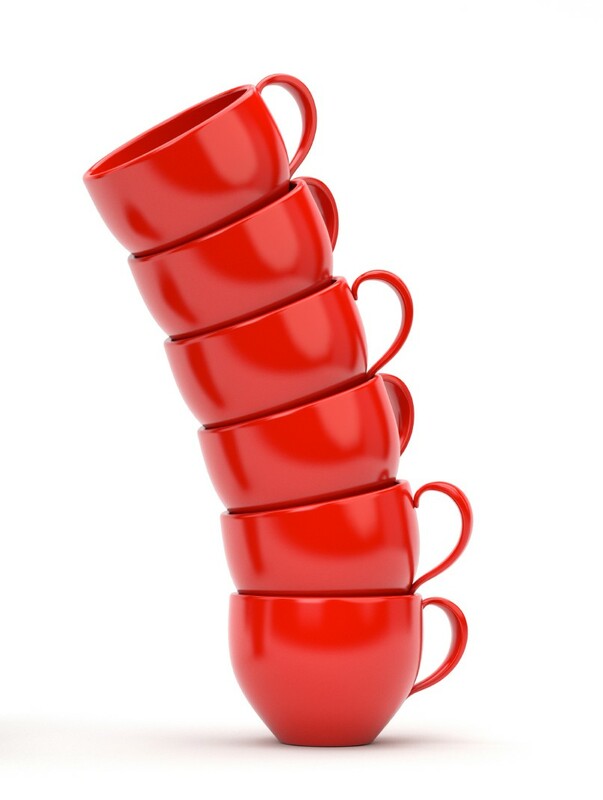 The feedback I received from the publisher was, “This reads like a series of disconnected blog posts.” That feedback came in the form of a two-page detailed analysis of the manuscript. 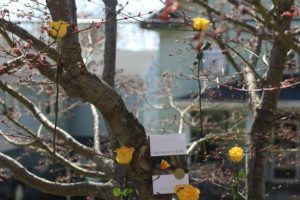 Three different readers at TS Poetry Press contributed their thoughts, and the editor synthesized them into one document, which included encouragement and suggestions to explore in revision. I’d describe the tone as gentle but crystal clear. The best thing I did was wait to respond. I emailed to set up a phone call a week later. When I talked with my publisher, I was ready to hear how I might go about rewriting (I didn’t have a clue). She shoveled snow and I paced. Here’s the secret I hadn’t shared until that call: There was something in my life I didn’t want to write about. My first draft was an attempt to write without acknowledging the elephant in the room. I even had a paragraph about the unmentionable elephant. “You can write about your mom, can’t you?” my publisher asked. I’d always said I could write about my mom and her cancer, no problem, any day of the week. “Sure,” I said. Maybe I needed to get another elephant. If cancer was the elephant in the room while I was growing up, it was one we all knew, acknowledged, and cared for. My parents never lied to me, but, as in discussions the birds and the bees, gave me age-appropriate information. It’s a good thing they did because my mom wasn’t the only one to have cancer during my childhood. My dad did too, plus other relatives on both sides of the family. I literally lose count. Since I grew up around cancer and have lost four people to the disease, when it came time to rewrite, let’s just say—to use Brené Brown terminology—I’d done my work. When I started rewriting, my mom had been gone for five years. I’d done therapy, spiritual direction, taken a trip with my dad, visited with Mom’s friends, and, most importantly, I’d written 72 poems about her. Now I just had to use all that to write about this other elephant.